For a non-binding and absolutely free price estimate, contact our 24/7 customer service assistants at 020 3746 1366 or online here today! We will give you reliable and affordable deep carpet cleaning by using the latest and most efficient carpet cleaning approaches appropriate for carpeting with synthetic or natural carpet fibres. Our dry carpet cleaning Berrylands is the best way to rejuvenate and clean delicate rugs or carpets which are sensitive to water water. The carpet cleaners hoover and inspect the carpet, pre-treat any stains which can be removed and proceed with the dry compound cleaning procedure. It requires no drying time. The steam carpet cleaning is done with a powerful hot water extraction machine. The steam carpet cleaners will shampoo and then wash your carpet and will extract almost all of the water used back into the cleaning machine. Your carpet will take 2 to 3 hours to dry. If you are in a rush, we can offer you an air moving system to boost the drying process to 1 hour. We are among the first carpet cleaners in Berrylands KT6. Since we first started business, Our company has done everything to establish itself as a top preferred and leading carpet cleaning service in the region. Our professional cleaning services company works with a growing number of private and business customers. 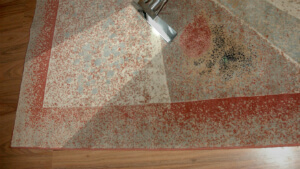 We will get all carpet types cleaned safely and proper stain protection can be applied. We invest in and work with the most advanced professional cleaning technologies, methods and solutions, because the satisfaction of our customers is our top priority! To increase the longevity of your carpet, and to get it look like it is brand new, book our expert carpet cleaning service today! We first began cleaning the rugs and carpets by dry foam carpet cleaning or steam carpet cleaning back in 2005. Ever since the beginning we wanted Ashlee House Cleaning to become a preferred and reliable local cleaning company for commercial and domestic properties as well. Our service includes carpet stain and spot removal as well. We use only Prochem certified solutions which are safe for humans, for pets and for the environment. All of our cleaning services are completely insured. You can call any day you want for our carpet cleaning experts in Berrylands KT6 to visit your business or home property and deep clean any type of carpet. We have weekend and public holiday availability. The earlier on you book, the better the price you get. Dial 020 3746 1366 or send us an online request here. The operators are available 24/7 to process your order in less than 2 hours. In cases of emergency, we can come on the same day. We have reasonable prices for the expert carpet cleaning service. We also offer discounts, if you book it along with another one we offer. Estate agencies, landlords and regular customers get special rates. Let us clean your carpets to excellence - book our service!